Dinora Roche Recinos graduated with honors as a Biochemist and microbiologist from Universidad del Valle de Guatemala. Later on, she obtained an Australian Award Scholarship (AUSAid), to pursue her masters degree in Biotechnology at the University of Queensland. For her thesis work, at the Australian Institute of Bioengeneering and Nanotechnology (AIBN), she worked on Production and characterization of protein scaffolds specifically presenting peptides that target VEGFR-2 and EGFR for Triple Negative Breast Cancer (TNBC). She was also awarded with the Summer School Scholarship at the Universidad Complutense in Madrid, Spain, for a genomics fellowship. 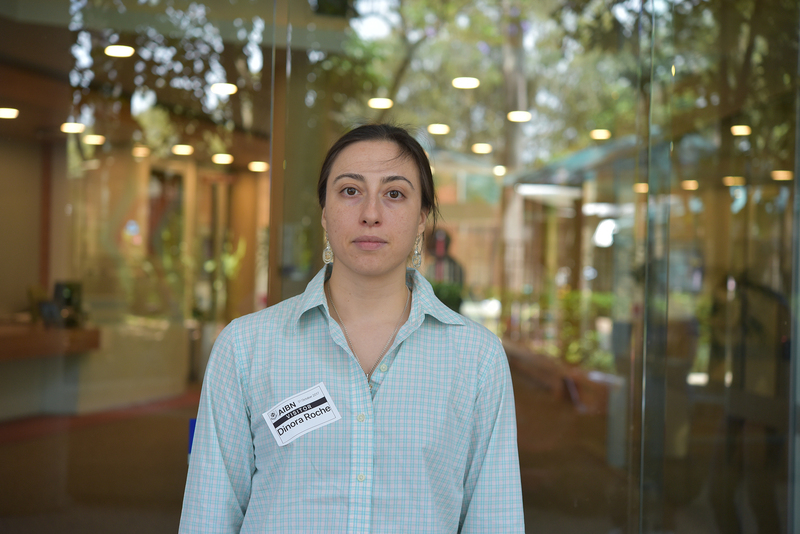 She is currently working as an university lecturer and associate researcher as well as Technical coordinator of the Plant Protection Laboratory of the Center for Agricultural and Food Technology Studies at the Research Institute of Universidad del Valle de Guatemala.